Joe Duffy (Chairperson) ,Caoimhe O’Malley (Vice Chair), Emma Coffey (Treasurer), Marian Del Duca (Secretary), Pat Byrne, Sean Callaghan, Anne Campbell, Gussie Hearty, Alvaro Lucchesi, Stephen Murphy, Garret Weldon. You can call 042 939 51 00 and reception will put you through directly to staff. Dundalk FM Board of Directors and Committee meeting dates 2019. Examine and make recommendations on programme proposals, demos and provide feedback to their contributors. Review programmes on a regular basis and ensure that all BAI and other related requirements are being satisfied. The sub committee will be comprised of at least one Board Director, three representatives of the radio presenters/technical persons, broadcast staff and the Manager of the Dundalk Media Centre. The sub committee will meet at least once a month and will report on a monthly basis to the Board of Directors. The sub committee will strive to make decisions by consensus or simple majority. The quorum for all meetings will be three persons. Programme and Technical Meetings are at 4.30pm on the first Tuesday at the Dundalk FM Offices and are open to all members and people with new programme ideas. Follow up on actions from the Board Meeting. Keep track of progress of the Strategic Plan activities. Advise and support the Manager. Ensure cash flow is sufficient for the business. Ensure financial guidelines and companies registration office compliance. Set pay rates for staff and external projects. 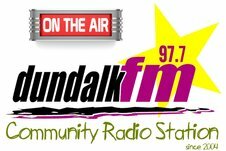 Finance Committee Meetings are at 7pm on the second Tuesday at the Dundalk FM Offices. Help resolve issues regarding staff and volunteers in relation to the Grievance and Disciplinary Procedure. Ensure all recruitment follows procedure including creating Job Descriptions. Ensure the Annual Appraisal is carried out and a Training Plan created. Organise a Training Calendar of events and refresher courses as required including board, staff and volunteer training and exchange. Members: Alison Lennon, Alan Byrne.